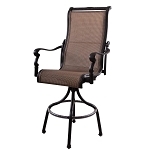 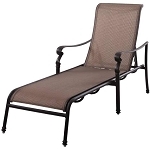 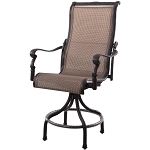 Sling patio furniture seats provide comfort and contour to the body without the use of cushions. 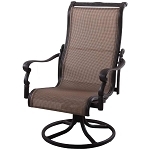 Sling chairs can be wonderfully comfortable to sit in and long-lasting. 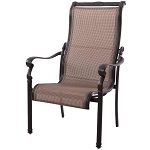 Today, you can also choose from various sling fabric colors, usually made with high performance fabrics such as Sunbrella, to coordinate with your color scheme.